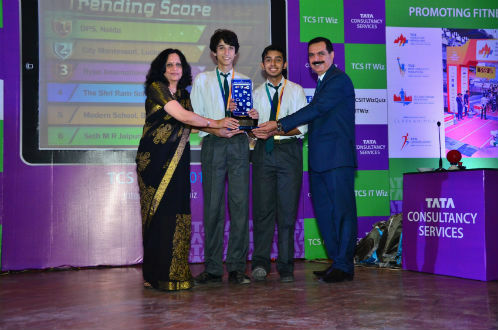 Delhi: TCS IT Wiz, India’s biggest inter-school quiz, organised by Tata Consultancy Services (TCS), a leading IT services, consulting and business solutions, witnessed participation from students from various schools in Delhi. Over 950 students participated in quiz held on Saturday, November 11, at Dogra Hall, Indian Institute of Technology (IIT), New Delhi. Delhi edition also witnessed school teams travelling from Dehradun, Jaipur, Kanpur, Lucknow, Meerut, Panipat, Saharanpur and Sonipat for this years’ quiz. TCS IT Wiz was open to High School students studying in class 8-12. Each institution was allowed to send a maximum of 8 teams with each team consisting of two members. There was no entry fee. TCS IT Wiz this year focused on four areas- Automation, Contextual Knowledge, Machine Learning, and Agile besides an exclusive round on TCS. The Quiz platform looked into the technological trends that are poised to have huge traction across the globe. Students who are a part of this quiz would benefit from understanding these technologies as they walk into their future. The top six teams from the written preliminary round were qualified for the regional finals. After five rounds of quizzing at the Regional finals, Pranava Dhar and Ansh Arora from Delhi Public School, Noida won the title. The Regional Champions this year walked away with an INR. 60,000 worth gift voucher while the runners-up represented by Atul Patel and Ishaan Srivastava from City Montessori School, Lucknow were rewarded an INR 40,000 worth gift voucher along with a specially designed trophy and medals. The 6 finalists will also receive an array of prizes from TCS ranging from Gym bag, OTG pen drive, Earphones, and Bluetooth speakers. The winning team along with a teacher/parent will be flown to Mumbai to contest in the in the National Finals. The prizes were distributed by the guest of honour Prof. Anu Singh Lather, Pro Vice Chancellor, Delhi Technical University, along with Mr. Tej Paul Bhatia, Vice President, TCS North India Operations. The Quiz was hosted by noted quiz master Giri ‘Pickbrain’ Balasubramaniam. The TCS IT Wiz 2017 will be held across 12 cities across India – Ahmedabad, Bengaluru, Chennai, Hyderabad, Kolkata, Indore, Nagpur, Bhubaneswar, Kochi, Delhi, Mumbai and Pune. AUTOMATION: A hard coded TEXT based questions, from anywhere in the broad spectrum of topics were directed at the teams. This was a passing round which provided each team a chance to score points either on a direct or on a pass. CONTEXTUAL KNOWLEDGE: A round from the world of Visuals, where teams were required to decipher the answers contextually. This was a passing round which provided each team a chance to score points either on a direct or on a pass. MACHINE LEARNING: Another buzzer round with questions common to all teams. The implicit understanding of this round was that its component would lead to a commonality, but when three of the same are replaced the teams would need to realign their thinking to arrive at another commonality. AGILE: The story board highlighted a few clues at a time. As more clues appeared, lesser the points were scored. This was a multi-clue round. The negatives were constant. @TCS: A buzzer round the world of TCS with questions common to all teams and carried negative points for incorrect answers. Tweeporting: There was also Twitter contest during the event. Delhi witnessed as many as 10,292 tweets. The winners of the top two highest tweets and the best “tweet of the day” received gym bag along with a Bluetooth speaker. Applications of Information Technology across various industries and sectors including technology environment, the business, people, new trends and legends. 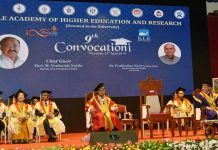 Emerging areas such as cloud computing, AI, biometrics, robotics, world of Internet, unique web sites, IT buzzwords and acronyms. Areas where IT has made an impact – web, education, entertainment, books, music, movies, banking, advertising, sports, gaming, social media and world of mobiles.